Sales: According to the Phenix City Board of Realtors Multiple Listing Service, Phenix City area residential sales totaled 74 units during December, down 17.8 percent from 90 sales in the same month a year earlier. December sales were also down 14 percent compared to 86 sales in November. Results were 3.9 percent below the five-year December average of 77 sales. Two more resources to review: Quarterly Report and the Annual Report. 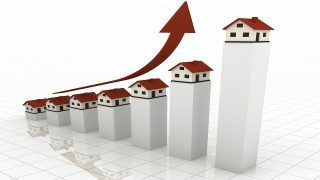 For all Phenix City area home sales data, click here. 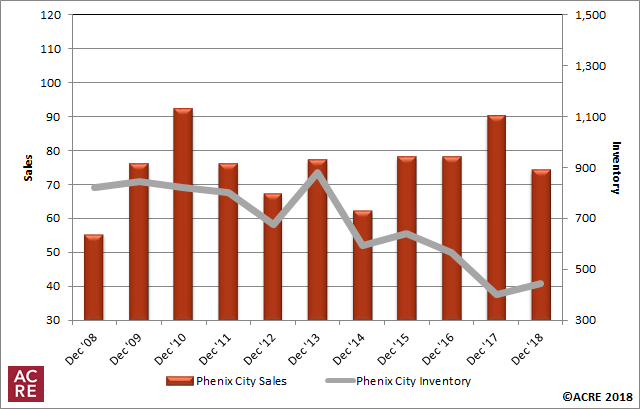 Inventory: Homes listed for sale in the Phenix City area during December totaled 445 units, an increase of 11.5 percent from December 2017’s 399 units and an increase of 3 percent from November 2018’s 432 units. December months of supply totaled 6 months, an increase of 35.6 percent from December 2017. December’s months of supply also increased from November’s 5 months of supply. 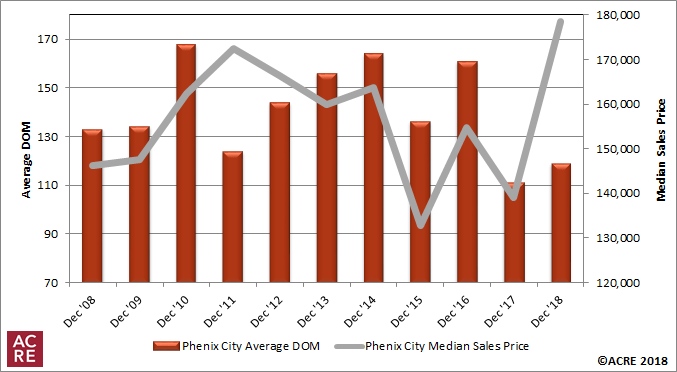 Pricing: The Phenix City median sales price in December was $178,528, an increase of 28.5 percent from one year ago and an increase of 6.9 percent from the prior month. 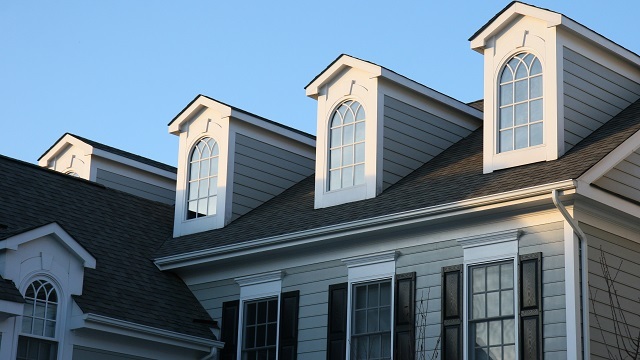 This direction is consistent with historical data (2013-17) indicating that the December median sales price on average increases from November by 7.2 percent. The differing sample size (number of residential sales of comparative months) can contribute to statistical volatility, including pricing. ACRE recommends consulting with a local real estate professional to discuss pricing, as it will vary from neighborhood to neighborhood. The average number of days on the market (DOM) for homes sold during December was 119 days, an increase of 7.2 percent from 111 days in December 2017 and an increase of 5.3 percent from 113 days in November. 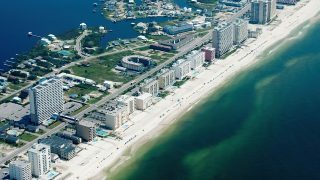 Forecast: December sales were 20.4 percent below the Alabama Center for Real Estate’s (ACRE) monthly forecast. ACRE projected 93 sales for the month, and actual sales were 74 units. 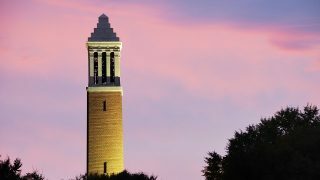 ACRE forecast a total of 1,205 residential sales in the Phenix City area during 2018, while there were 1,148 actual sales. The Phenix City Residential Monthly Report is developed in conjunction with the Phenix City Board of Realtors.